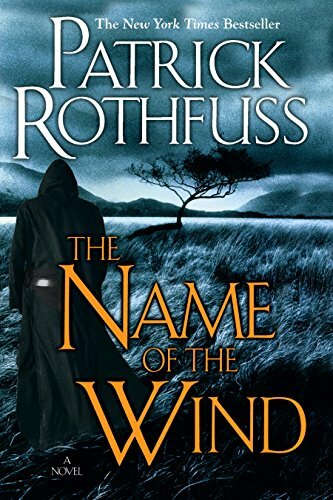 Two versions of Patrick Rothfuss’s great fantasy series, including The Name of the Wind and The Wise Man’s Fear, as well as an as yet untitled and unwritten third novel, are heading to screens near you–a long-form television prequel to the books and a film based on the books. Many people hope they’re headed there, anyway. Showtime has commissioned a prequel to the fantasy series, an effort championed by Rothfuss fan Lin-Manuel Miranda. Appropriately, Miranda–the brilliant star of the musical Hamilton–will compose the music. As avid readers of the books know, the protagonist Kvothe is a master lute-player, and music features prominently throughout the books. 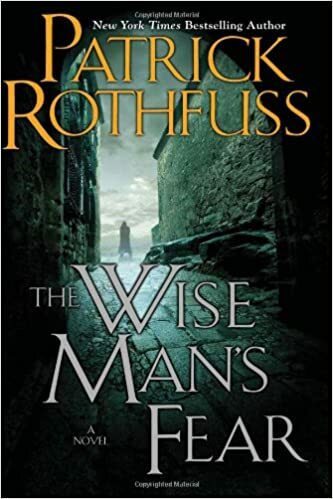 Rothfuss’s world-building is matchless, so filling out Kvothe’s backstory will be catnip for fans. As The Name of the Wind begins, Kvothe’s mother and father are killed by the mysterious and scary Chandrian. Kvothe has grown up in a troupe of wandering players and minstrels, and Kvothe’s parents have written a song exposing the origins of the Chandrian. The Chandrian take their revenge by killing the entire troupe. “Somebody’s parents have been singing entirely the wrong sort of songs,” the sinister Chandrian Cinder tells Kvothe, the sole survivor of the massacre. A Showtime series filling out more about Kvothe’s parents and the wanderings of the troupe is sure to thrill fans of the books. Even more ways to experience the world of the novels? The developers of these filmed projects are giving some thought to other ways we fans of the books can experience Kvothe’s world. Miranda has expressed interest in any stage-play spinoffs, and a video game is also apparently in the works. Whether any of these projects–tv, film, stage, game–will come to fruition is anyone’s guess, although the Showtime and Lionsgate projects look pretty solid. But we can all think of failures, both the terrible ones because they’re awful movie-making and the ones that fail by trying for too much faithful reverence. Both types of failure can kill a project. I personally thought the Narnia movies truly sucked. I personally found the early Harry Potter movies to be lifeless illustrated versions of the books. I personally found The Hobbit movies to be mostly unsatisfying and dull. As for the video game idea, gaming is littered with failed attempts to move one medium’s success into a different one’s tedium. I’m thinking of LotR Online, for example. It’s so tedious. (Here I’m ducking from projectiles aimed at me by the fanboyz.) There are too many failed attempts to move from games to movies, from movies to games, from games to books, even; from one kind of game to another (D&D Online, anyone?). Comic books seem to make pretty good movies, especially the superhero variety, if you happen to like superheroes. There’s a doctoral dissertation in there somewhere, but since I’m not a big superhero fan, I don’t care why that is. But games based on the superhero idea range from meh to outright bad. City of Heroes–okay, but in the end, pretty meh. DC Universe Online? Ugh, it looks bad. I admit I’ve never played it.